The dog days of summer are upon us – just about a month left of summer celebrating! 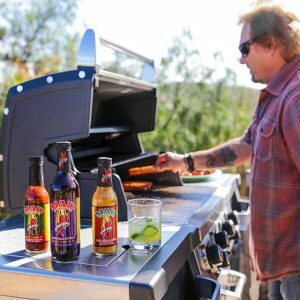 If you’re like us, you’ve been grilling it up as much as possible and making all kinds of tasty treats using Mad Anthony’s sauces! As a matter of fact, we’d love to see what kind of recipes you’ve come up with using Mad Anthony’s BBQ sauces, Mustard or even our hot sauces. Send us a picture and your recipe and every week Mad Anthony will pick his favorite three to share on the Mad Anthony’s Cafe instagram page! 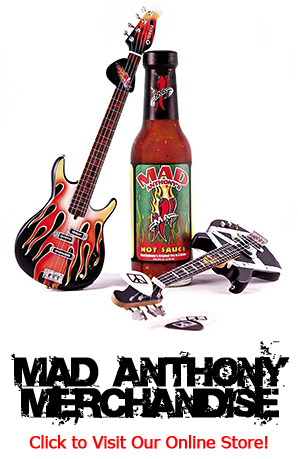 If your recipe gets chosen we’ll send you a free bottle of sauce and one of our exclusive Mad Anthony’s BBQ aprons! So, let’s see what you’ve got!! Send submissions to bobothewebmonkey@madanthonycafe.com and we’ll post the first 3 winners next week. You can submit as many recipes as you like from now until September 1. Bring it on! !